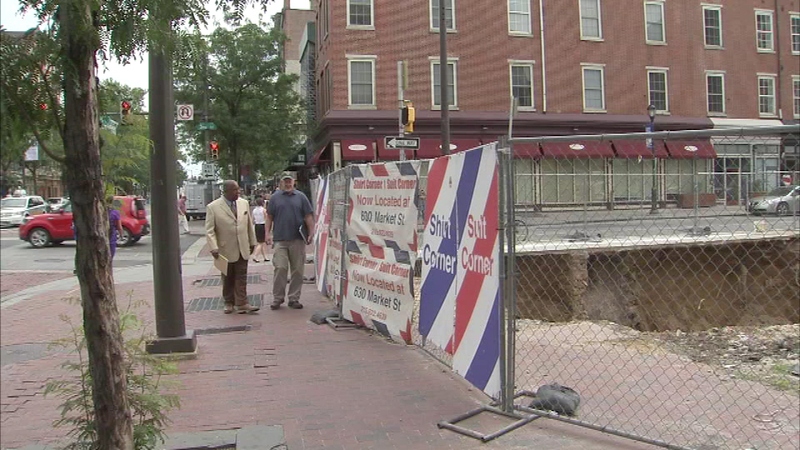 OLD CITY (WPVI) -- A construction project in Old City Philadelphia is getting a lot of attention, but not because of what's set to rise there. 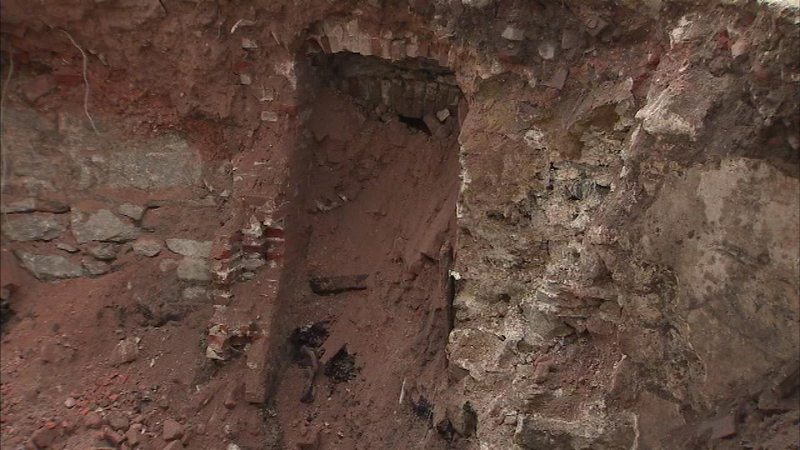 Crews unearthed a door while digging at the site, and some think it could be a window to the city's storied past - but we may not get to see it. 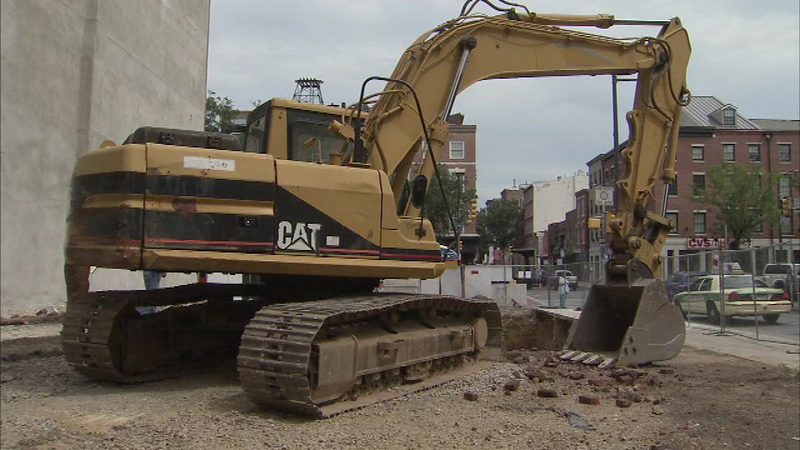 An excavator plied his trade at 3rd and Market Monday, the Southwest Corner. Eric Cacon has been on the project since last Monday. 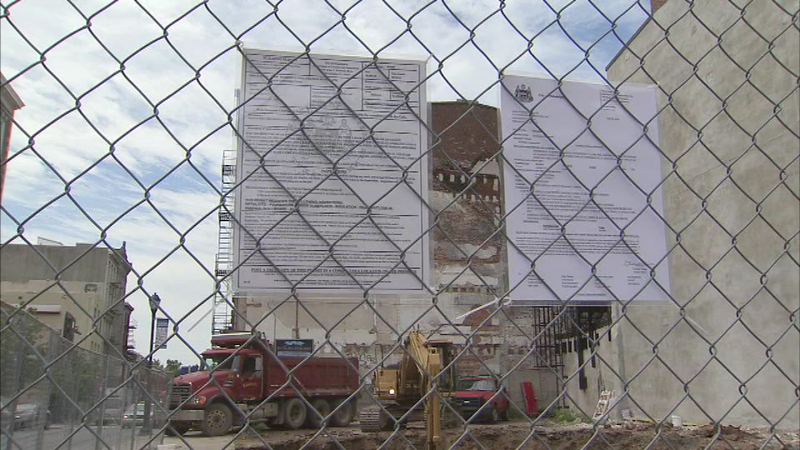 A construction project in Old City Philadelphia is getting a lot of attention, but not because of what's set to rise there. 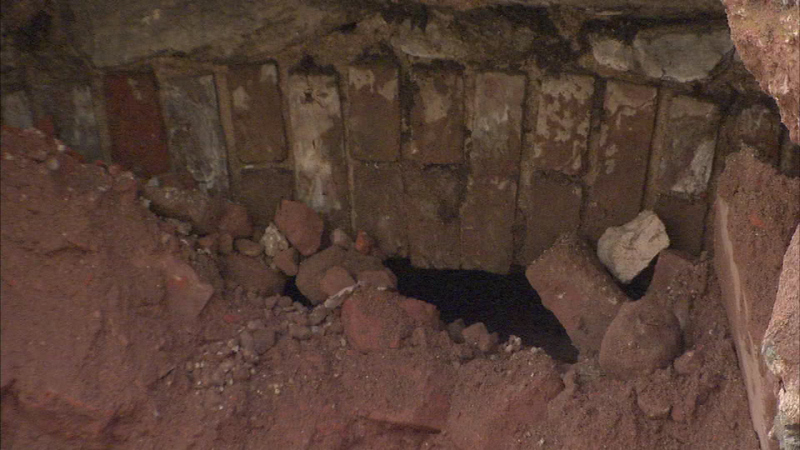 Late last week, he uncovered an apparent cellar doorway. His bosses have told him to keep on digging. But where does the door lead? What's beyond it? A trove of possible artifacts from the 17th Century or even earlier archaeologists would love to explore. 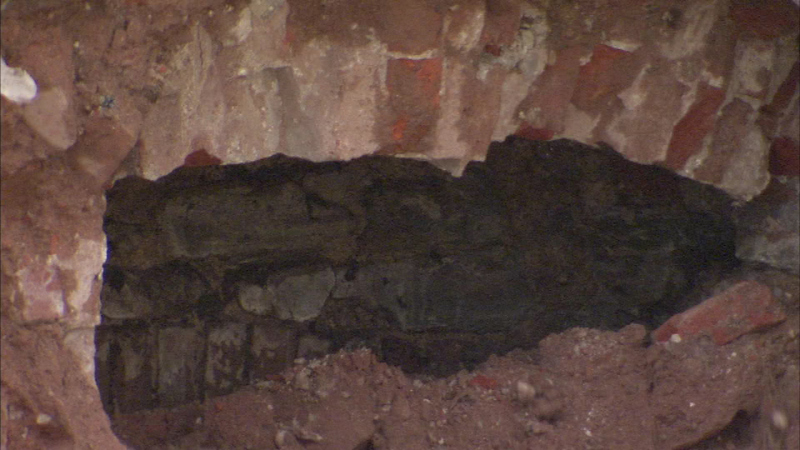 "You're peering down into 200-plus years of Philadelphia history right here," said Douglas Mooney, archaeologist. 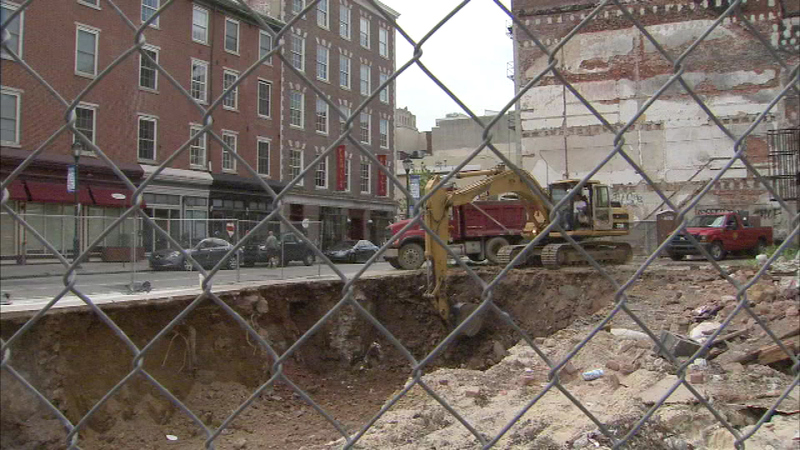 Mooney has done groundbreaking work all over Old City, including the dig at 6th and Market, three blocks away where the quarters of George Washington's slaves were found under what was the nation's first White House. What, Mooney asks, is behind the door only a few blocks away? "There very well could be a very important historical artifacts and archaeological deposits on this site," said Mooney. "The problem is no one is bothering to look for them." A massive fire several years ago destroyed the landmark Shirt Corner Store. A West Virginia developer owns the property now. A multi-use building is coming - commercial on the first floor, apartments on the floors upstairs - from the same family. A new pharmacy chain now resides at the opposite corner. "There were a series of private collectors that were allowed access to that site who went down and dug into some of the privies there, and just discovered some extremely early artifacts, just amazing things," said Mooney. Experts like Mooney tell us there are literally hundreds of potentially history-rich sites like this all over Philadelphia, especially in this section of town. 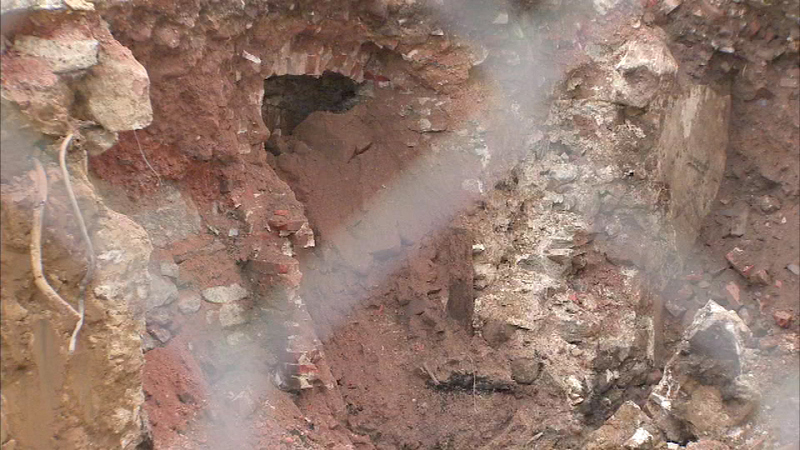 Ones that will never get unearthed, he says, because of progress and redevelopment.